Did you know that there is one decision that you will make during your pregnancy that will affect your birth more than any other? Sure, you can read the books, eat well, exercise often, have a rock solid birth plan, and hire a doula, but if you don’t have a care provider who is on board with your goals, then it’s going to be an uphill battle to achieve them. Impossible? No. But why make your baby’s birth day one that’s filled with tension and fighting for what you want? Think you don’t have options? I bet you do! Many newly pregnant women call the clinic and ask who they should begin seeing. They’re often automatically assigned to an obstetrician unless they ask for a family practice doctor or midwife. What’s the difference? Obstetricians and family practice doctors both go to medical school, but obstetricians spend additional time focusing solely on obstetrics. They spend hours in the operating room perfecting their technique for performing cesareans, working with high risk women, and attending lots of births. They often fall toward the medical side of care where they like routines, managing labors, hold the mentality that birth is inherently dangerous, and they will “deliver” your baby. Midwives tend to fall on the other end of the spectrum. They too spend years working with pregnant women learning how to provide proper care during pregnancy, labor and birth. However, their belief tends to be that birth is often unpredictable but generally safe, moms should be treated as individuals, and mom will give birth to her own baby. Family practice doctors tend to fall somewhere in between the two. A provider’s title (OB, family practice doctor, or midwife) doesn’t necessarily guarantee how he or she will practice. Some OB’s are amazingly trusting of birth and interested in women as individuals while some midwifes get nervous over the slightest bump in the road and are much more comfortable managing labors. So it’s really most important to get to know the individual. That can get tricky if your provider is part of a group practice though. In our area, all of the OB’s work within group practices where they share a rotating on-call schedule at the hospital. Some of the groups are small with around 4 doctors, but some include 12+ doctors within their practice. So it’s great if you love your doctor, but your odds are slim to none of seeing him or her at your birth. It makes perfect sense to be with an OB if you’re high risk or for other personal reasons. But if you’re low risk and feel like you don’t have other options, then keep reading. The UW Midwives also work in a group practice. Their group has 8 midwives, and they naturally take a more hands-off approach to birth and are able to do so because they only work with low risk women. If for any reason a need for a higher level of medical care arises during pregnancy or your birth, they work with the UW OB’s to make sure that you have the care you need. One of the perks of working with the UW-Midwives is that you have the option of a waterbirth with them at Meriter. The downside is that they aren’t an option for you if your insurance doesn’t cover them or you’re considered high risk. Your only other option for a hospital-based midwife in Madison is through Physicians for Women, who work with Meriter. 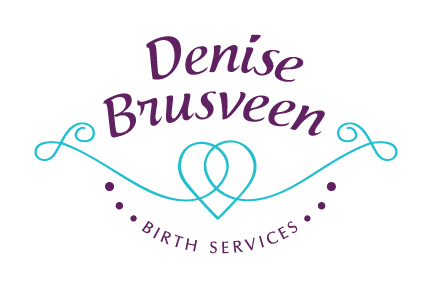 Or you might consider working with a homebirth midwife if your heart is set on having a midwife at your birth. And then there are family practice doctors. If you choose a family practice doctor, you have a high likelihood of seeing him or her at your birth. They often work in pairs with a back-up doctor, but the goal is that the doctor you choose will be the one there. Many of them also allow you to have a waterbirth if you’ll be at Meriter. Many of my students and clients are familiar with their option to have a family practice doctor if they’ve got GHC or UW-Health insurance, but I’ve found time and time again that those with Dean insurance don’t realize that they are free to choose a family practice doctor in Madison. One of the favorites among my clients and students is Wildwood Clinic. They have locations in Madison and Cottage Grove and have only family practice doctors, and they take Dean! They take other insurance plans as well and might be worth looking into if you’re not happy with your current provider. Are you wishing you had a different insurance plan now? Because you’d really like a midwife, or a waterbirth, or even an OB that will be a familiar face at your birth? It might be time to think outside of Madison! Did you know that Columbus Community Hospital in Columbus offers waterbirth with their family practice doctors? And they take Dean insurance! Sauk Prairie Healthcare also takes Dean Insurance as well as GHC (and others). At Sauk Prairie, you can choose a midwife, one of the family practice doctors, or enjoy knowing the OB that will be at your birth because there are “only” two. Seem radical? Maybe. But I have attended births at both of these hospitals after my clients decided that they would be a better fit for them. Take some time to critically evaluate if you and your provider (and the other members within his or her practice) are a good fit for one another. Think about it from your provider’s perspective too. Are you asking him or her to work outside of their comfort zone? The relationship works both ways. There is nothing wrong with exploring other options if that’s where your intuition leads you.